A: This is a question we get quite often. Fret not; we’ve got you covered! WHERE DO I BEGIN WITH KAVA? – Personally, I’d start here first. KAVA BEGINNER’S GUIDE – More of a Q&A regarding Kava. Both articles are super user-friendly, and will turn you into a Kava Expert in no time! Q: How Much Is Shipping ? You may preview the shipping options during check-out, before entering any payment information. Once you add a billing and shipping address and the items you wish to purchase to the cart, click ‘Checkout’ at the top of the screen to view the items, and then ‘Checkout Now’ and the available shipping methods and prices for your ZIP code will be displayed and selectable. Shipping prices are calculated based on the weight of the package and your distance from our fulfillment warehouse. Domestic shipping rates start at around $6.70 for Priority Mail and go up from there, and we offer Expedited services if you have a time-sensitive order to submit. We have about eight different shipping methods available for all of our customers who live in the USA. International customers will have several options available. If a shipping option is not available, it will not appear in your list of options. On the flip side, there are times that shipping options are presented to you, but when we go to ship, they’re no longer available. If that happens, we’ll make an executive decision, and choose the best shipping method if we can’t get in touch with you before your order ships. Also, if you have any questions about anything, don’t hesitate to drop us an e-mail (shop@kava.com) or call us at 716-989-5577 from 8 a.m. to 3:30 p.m. PST, Monday through Friday. Q: Where’s My Order Update ? We email you with updated shipping information (tracking number) and all other important changes for your order. At times, emails sent from shipping software can end up in your junk mail or spam folder. Some email providers have special sections where Promotional or Retail emails can be redirected into. Please check those folders for our emails. Q: Where’s My USPS Priority Package ? We have a regular daily pickup by the United States Post Office at about 2 p.m. PST. Any orders received before 1:30 p.m. PST ship the same day, and get handed off to the Post Office same day. What they do with it from there is truly out of our control. Please remember though: It’s your package. If you need to add anything onto it, like an apartment number, you can contact USPS Customer Service to add or re-route a package. Please remember that this is limited, though, since Priority Mail only has estimated delivery times and Delivery Confirmation and not Tracking Information when your package ships. Unfortunately, the United States Postal Service decided that marketing was more important than customer service. They make it quietly clear that their shipping time-frame is simply an ESTIMATION of delivery time, and by no means a promise. So, although it looks to us and many of you, that the USPS is promising to deliver my package within 2 or 3 days, they’re probably deliver it within 2-5 days. Q: Where Is My FedEx Package ? You first need your Tracking Number. This will appear in your Order Shipped email, or can be found on your account if you created an account during checkout. Once you’re armed with that Tracking Number, either enter it in to the Track My Package section of FedEx, or call 800-GOFEDEX. With both FedEx Ground and FedEx Express, we can file a claim for late delivery of the package, as well as a damaged package. But, we first have to find your package and find out if it is eligible to file a claim. Even though we can go to the FedEx website and find that information for you, it is much easier to check using your Tracking Number. We have access to the same online Tracking Tools that you do, as well as the same phone number as you do for FedEx Customer Service. We are truly sorry that deliveries sometimes took longer than expected. Once a package leaves our hands, FedEx is responsible for it. If it’s legal to ship it to you, we can. Please remember that we have no control over your government, Customs people, or your Postal System. Packages can take anywhere from a few days to several weeks, especially if you select the more economical shipping option. We do not guarantee that you will NOT have to pay duties. It is your responsibility to find out what you might be responsible for before you order, including any taxes or duties. We cannot refund your order if your reason for not accepting it is because you had duties levied on your order, and ordering from our site constitutes your understanding and agreement to these terms. If you refuse to take your package, we are obligated to wait for a return of your package to our fulfillment center before taking any further steps. When a package safely returns back, we can only issue a refund for the products that arrive undamaged and unopened by the customs. Shipping charges are NON-REFUNDABLE, and there are no exceptions. Q: Where Is My International Order ? We emailed shipping and tracking information to the email address you provided when your package was shipped. You can use that information to track your package on USPS and on your local Post Office website. Please remember that we have no control over your government, Customs people, or your Postal System. Packages can take anywhere from a few days to several weeks, especially if you select the more economical shipping option. Packages are marked as Commercial Samples to prevent you from having to pay duties, but that does not guarantee that you will NOT have to pay duties. It is your responsibility to find out what you might be responsible for before you order, including any taxes or duties. We cannot refund your order if your reason for not accepting it is because you had duties levied on your order, and ordering from our site constitutes your understanding and agreement to these terms. If you refuse to take your package, we are obligated to wait for a return of your package to our fulfillment center before taking any further steps. When a package safely returns back, we can only issue a refund for the products that arrive undamaged and unopened by the customs. Shipping charges are NON-REFUNDABLE, and there are no exceptions. We are sure you’ll see your package soon, but if it doesn’t appear after several days have passed, please call your local Post Office for details about delivery to your specific location. If you cannot locate your package after it has been delivered, please look where packages are generally left for you, ask neighbors, the management office where you live, and speak to or leave a note for your mail carrier. Often, it arrives the next day, or it may be waiting for you at your local Post Office, or perhaps waiting in Customs for a response from the recipient. We’re very sorry for the error! Please contact us and let us know what the missing/wrong item is, and we’ll ship it out TODAY! The new tracking number will be under your original order number in your account as soon as it’s available. Q: Got My Kava Order – What Next ? Great, you’ve got your first package of Kava Powdered Root, or you’ve purchased some Instant Kava Mix and don’t quite know what to do with it now. Well, fear not; we’re here to help! First of all, we do have PLENTY of help online for you, right under your nose and very cleverly hidden: The Beginner’s Guide to Kava (You can find the article under KAVA LIBRARY). One of our most-asked questions is; “Now that I have this bag of Kava Powder, what do I do with it?” Those are just a couple of resources. There are numerous helpful forums online just for Kava, there’s plenty of other helpful articles on our website as well as the world renowned blog over at Kona Kava Farm called “Makaira’s Blog”. Q: What Are Kava Loyalty Points ? Sign Up for an Account: Signing up for an account nets you a one-time 250 points. Review a product and you will get 100 points deposited as soon as it’s approved. Like us on Facebook and we’ll add 50 points to your account. We are adding new ways quite often; check back for more ways to earn free Kava! Q: How to Prepare Kava Drinks ? Q: Will Kava Help With Anxiety ? Social Anxiety Disorder and Kava Does Kava Work for Anxiety? What Does Kava Do? There are several forms of Kava Kava that can be purchased; whole kava root, powdered kava root, instant kava mix, kava capsules, kavalactone paste, full spectrum paste, and the tinctures (there’s also a unique kava concentrate offered by a company called Kona Kava Farm, as well as a chocolate flavored dietary supplement bar by Kava King.) Which form you “should” buy depends on what you’re looking to get from your Kava experience. We have the Beginner’s Guide to Kava which helps you decide which Kava product (paste, powder, capsules, instant, etc) would fit your lifestyle best. Our article Where Do I Begin? is a great place to start learning about what Kava is. One of our most-asked questions is “Now that I have this bag of Kava Powder, what do I do with it?” Here is the Best Way to Take Kava. Q: What Is The Best Cultivar of Kava ? Thousands of years of selective cultivation from humans has created some incredibly powerful Kava root chemotypes. There is a growing number of kava “cultivars” that can be purchased. Some of the major ones are Hawaiian, Fijian, and Vanuatu. We think that Hawaiian kava is the best out there, and we even have a little bit of science to back up our claim! There are six key kavalactones in kava that produce the pleasant effects that we feel when we work with kava. According to Alden Botanica, which offers High Performance Liquid Chromatography of the kavalactones in various types of kava, the kava Fiji grows has the lowest percentage of kavalactones kavain and dihydrokavain, while Hawaii and Vanuatu kava have the highest percentages. This is very important because these two kavalactones are essential to the anti-anxiety action of kava. Therefore, if you are looking for a more potent kava, it’s best to go with Hawaii or Vanuatu kava rather than Fiji kava. That explains it rather simply, and it’s also the exact reason we’re so proud of the Kava Root we offer here on Kava.com: We carefully chose the one variety we offer in our Kava Marketplace. We chose a supplier who would sell us Kava ground from only lateral roots, and we were only willing to accept a very specific kavalactone profile. That profile needed to have a high concentration of a lactone called “kavain”, which is believed to be most responsible for the pleasurable as well as the anti-anxiety effects of kava root, and far less of the undesirable kavalactone types that offset and cancel out the pleasurable effects of kava. This variety may be a good fit for you, but do remember that like anyone who has Kava for the first time, you may need to build a sensitivity to its effects. We recommend that first time kava drinkers take it slow until they’ve gotten acquainted with the plant’s effects on them and know what to expect. For the first few times drinking kava, you should start with one bowl and wait 20 to 30 minutes to feel the effects before taking a second bowl as a booster. In some cases, people don’t feel any effects until they’ve tried the brew a few times, due to a reverse tolerance that can sometimes occur with kava. This is especially true of our own brand of Kava since it is very high in Kavain, and can take time for your body to respond to this particular Kavalactone. The American Herbal Products Council has recommended that people limit their intake of kavalactones to no more than 300 milligrams per day, and not use kava for a continuous period of more than three months. In recent years, numerous studies on kava have been published that undermine the link between properly prepared kava root and liver damage. Therefore, we feel this is probably an artificial daily limit for a herb with such a long history of safe use in the South Pacific at far higher daily doses. However, people interested in using kava therapeutically will be happy to know that kava’s anxiolytic and sleep-promoting effects can kick in at far lower doses than are needed to produce its more pronounced sedative and euphoric effects, making kava a great herbal supplement for everyday use. Here at Kava Dot Com have passed a strict application process that involves careful evaluation by a doctor of our website as well as the specific products and services. The review process involved stringent criteria that includes fair pricing and return criteria, reasonable medical claims, easy-to-locate customer service and protection of sensitive customer data. We seek out only the highest-quality Kava suppliers on our planet Earth, and will not offer any product that doesn’t reach our strictly-set standards. We are constantly adding and updating our information in an effort to be your most complete source of kava information available. Q: What About “Noble” Varieties of Kava ? There are many different varieties of kava that have been grown and safely consumed in the South Pacific and Hawaii for centuries. When you’re looking to buy kava kava online, check to see if the site you’re on specifies which strain(s) of kava they offer. “Noble” strains of kava— those that haven’t been hybridized— such as the Fu’u, Borogu, Mahakea and Boroguru strains are more predictable in their potency. Also, the effect of their kavalactones on the human body has been well-documented. Avoid less well-studied hybrid strains such as Tu Dai kava. While potent, some research has suggested Tu Dai may create unsafe combinations of lactones in the body when taken orally. A scrupulous kava vendor site should specifically list all the strains they sell. In fact, Vanuatu grows 30-70 varieties of Kava and they ONLY export “Noble” strains of Kava. That’s exactly what we do here at Kava Dot Com! Non-Noble strains, called “ignoble”, may lack potency and are not seen as generally fit for drinking and do not have the right balances of Kavalactones. Bula Kava offers only Noble strains of Kava, and we carry our own variety right here. Q: How Do I Grind My Rough Cut Kava Roots? A: This is a question we get quite often. And the answer is simple: Use a hammer! It may sound like I’m trying to be cute, but standard coffee grinders that you buy at a retail store aren’t really made to handle whole Kava roots or even our Rough Cut Kava Roots. Instead of thinking about grinding those roots, think about it as “pulverizing” your Kava. The Kava root is quite fibrous, but it’s not too tough. I simply used to get 2 Ziploc bags, a rag or piece of heavy, clean fabric, and a good hammer. I’d put the Kava root in the inner bag, and put that inner bag inside the Ziploc, and then cover it with the thick fabric. I’d then just place that on the sidewalk or other hammer safe surface, and smack that Kava. It’s easier than you think and the rewards are a deeper connection with your Kava experience. If you’re still having trouble, one of the things you can do is soak your Kava for a few hours to overnight in the fridge. Even better, is you can then freeze that Kava root overnight. The ice will expand as well as make the root more brittle. Then, when you go to use the hammer to pulverize it, it will break apart even more efficiently. If all of that sounds like too much work, the good news is that Kava doesn’t need to be that ground up to make a strong drink. Also, we have made our Rough Cut Kava in small enough chunks so that a quality coffee grinder can handle it. You don’t need to go get a commercial coffee grinder, but the heavier duty and the higher quality the better. Even if you grind your whole Kava roots in a grinder, it’s still a great idea to simply place your roots in the freezer overnight before grinding. (Or, simply store your whole Kava root in the freezer all the time.) Kava can get hot when it’s grinding, so freezing it will not only help it grind easier, it will stay cooler as you’re grinding it up. Q: What Is Kava Blender For? If we want to be purists in our Kava preparation, kava was only made through chewing and spitting (mastication) or with fresh water and/or coconut water. As odd as this sounds to many in the modern world, there is a lot of merit to this method of preparation. Saliva has enzymes that help to extract the Kavalactone from the root. Kavalactone also dissolves into and extracts into fats. That’s why coconut milk and other fatty liquids are such great extractors, and help make the strongest Kava drinks possible. If we want to use just water or coconut water for our Kava, since saliva isn’t a palatable way of maximizing the Kavalactone content of one’s Kava, this is where our Kava Blender, rice-based blend, comes in. In reality, any oil added to your Kava extraction (such as flaxseed oil) would help maximize potency. Kava blender is just a very neutral way to do it, since it doesn’t add much of a flavor, if all to your drink. Kava has a reverse tolerance. That means the more you ingest Kava, the lass you need to feel the effects. For those we call “hardheads”, we suggest that you try Kava every day over the course of a few days. Also, you may want to make sure that you’re not in the middle of a zillion other things. When first getting to know Kava, it’s best to already be relaxed, so you can actually feel the wonderful effects both physically and mentally. FDA is VERY conservative. We have to follow the strict serving sizes set out by the FDA, but they are VERY conservative. If you’re not feeling the effects you expected, very carefully and under doctor supervision, you can try to double the amount of Kava you take per serving initially, to get a better sense of the effects of Kava. As with anything, Kava can be abused, so be careful and carefully monitor your ingestion. Kava’s effects can be extremely intensified when mixed with alcohol as well, so we highly suggest being in a quiet place, without any alcohol or caffeine in your system. Get familiar with Kava. Believe it or not, something that happens more often than you might expect, is that people are unfamiliar with the effects Kava has, and don’t recognize them right away, even when they are giddily floating in the clouds from the Kava they just took. We Westerners have been conditioned to except some very specific effects from the very narrow range of products that we have available to us. When people consume Kava, they often expect to feel tipsy, or they expect to feel giggly, or they expect to suddenly want to be a social butterfly. The effects of Kava are a little more subtle than that, and although this might sound like nonsense, it can take a few tries, perhaps an entire week of working with Kava to recognize what it’s actually doing to your mind and your mood. Stronger Kava Products. For those few who don’t feel anything from the products they purchased, we always resort to the strongest Kava supplement we offer. And that is the Kavalactone 55% Paste, Full Spectrum 55% Paste, or Tincture Max 12%. What’s the difference between the two pastes? 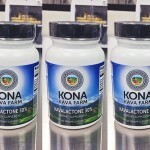 The Kavalactone 55% Paste is an extract of only the 6 major Kavalactones that are found in Kava and nothing else. The Full Spectrum 55% Paste has the 6 major Kavalactones, PLUS the rest of the Kavalactones in Kava. It’s a full spectrum product that has the while energy from the whole plant contained within it. It’s up to personal preference which one you prefer. 100% Satisfaction Guarantee. You, of course, are covered by our 100% Satisfaction Guarantee. You can return the product to our Fulfillment Center. Q: Is Kava Really Harmful to the Liver ? That article contains virtually all of the information about the reports of liver damage over the past few years. If you’d prefer, here are a few simple guidelines if you want to use kava but avoid incurring side effects on your liver: use a small amount of kava the first few times you try it, in order to gradually introduce the plant’s novel alkaloids into your body. Avoid combining kava with any drugs that interact with the liver or alcoholic drinks. Always consult your doctor before using kava if you have an existing liver condition or take medications that interact with the liver. Additionally, because kavalactones affect neural pathways in the brain to generate relaxing and anxiolytic effects, kava can interact in harmful ways with prescription medications that also work on these neural pathways. These include sleep medications like diazepine, anti-convulsants, anti-anxiety drugs, anti-psychotics, and levodopa to treat Parkinson’s disease. This is not a comprehensive list, but in general it’s advisable to check with your doctor about kava’s safety for you if you take any drugs that affect the central nervous system. Kava kava is one of the best documented and researched herbs for both safety and effectiveness, and has been used by native islanders and now consumers worldwide for many years with beneficial results. As a consumer, you should only buy from kava vendors that offer a guarantee that their kava products are made using root-only extracts and powders, which is exactly our vision since we seek out only the highest-quality Kava suppliers on our planet Earth, and will not offer any product that doesn’t reach our strictly-set standards. Q: Do You Wholesale Kava ? WE LOVE TO WHOLESALE KAVA! …and we’re proud of the personalized service and attention to you that we offer every one of our wholesale customers. To get started, all we need from you is your business info, including your TAX ID and/or your Reseller Number, as well as a brief description of what you’re looking to do, the kind of volume you think you might be doing, and what kind of products you might be interested in. For Kava bars, we offer a wide variety of products just for you. Our Single Serving packs made it easy to offer a very precise dose of Kavalactones in a simple quick-tear pouch. For wholesale accounts, we offer much larger packs of the single serve packs. And, that’s just one example of how we cater to you if you’re a Kava bar. For retailers, we not only offer every product with a UPC code on it, we offer a wide variety of products from both Kava Dot Com as well as Kona Kava Farm. We acquired Kona Kava Farm earlier this year, and have revamped their entire product line from the ground up. So, now, you can choose the “look” of your product, as Kava Dot Com and Kona Kava Farm have very similar product lines. Our minimums are just $200.00 per purchase. Initial wholesale discounts start at 20% off retail pricing, and go up to 35% as your volume and frequency of orders increases. 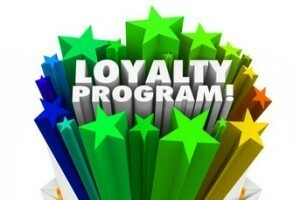 We reward you for your loyalty as well as your success! The more you buy, the more you save, increasing your bottom line while reducing overhead. You also get a priority phone number that’s separate from the retail side of the website to ensure you get the highest level of support possible. We can handle ANY size order, and have not missed a promised delivery date yet. And, once you grow enough, we do offer private labeled products for your bar, customized with labels that we design and/or provide for you, or with labels that we simply place on the packages for you. Speaking of, we are the only Kava company we know of that has an FDA-compliant GMP manufacturing facility that’s been built from the ground up to service the Kava industry. Every piece of equipment, every protocol, every Batch Production Record we craft is built on over a decade of experience in the Kava industry. It may not seem like that big of a deal, but having your products manufactured in a fully compliant manufacturing facility protects you from any unpleasant visits from the FDA for having misbranded or out of spec product in the marketplace. So, give us a call today, and ask for the Wholesale Department. Or, if you want to email first, simply send the above requested info off to kava at kava dot com, and I; Bryan will get back to you personally. Once we get to know each other a bit, we’ll set you up with a custom Coupon Code that will stay with you as you grow, automatically tracking your order frequency and totals, instantaneously adjusting discounts as you go. All orders can conveniently be placed on the retail site (and as you log in as a wholesale customer, more options become available to you for bulk purchase of many items), with as much or as little interaction from us as you wish. If you just want to get your order and get it the next day, no problem. If you’ve got questions, if you want ideas on what we think will work for your particular situation, we’re there for you every step of the way.